⟩⟩⟩ Our best selling encoder. Up to 1080p@60fps HD resolution. Very stable operation on multicast distribution on local area networks. 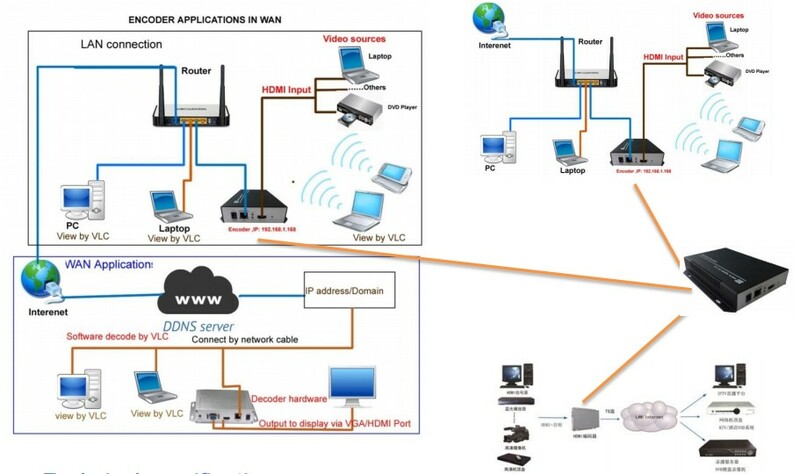 Suitable for video-over-ip application through internet. Dual IP output streams at the same time with different resolutions, e.g. one for internet, one for LAN. All IRENIS & BLANKOM encoders offer perfect image quality and stable system operation at an affordable price. 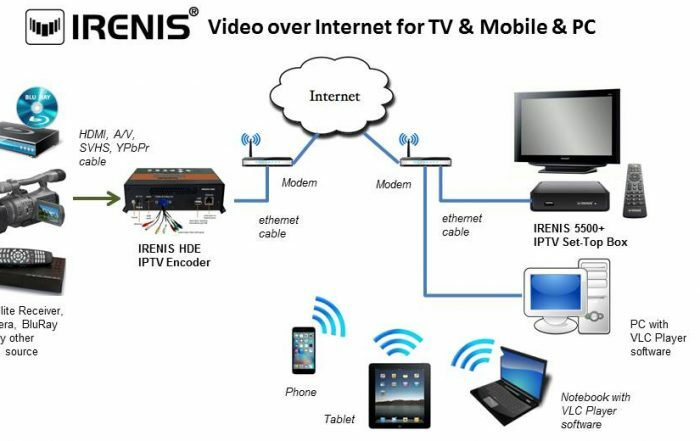 IRENIS & BLANKOM HDE-264 encoders enable the distribution of SD and HD tv/video content through IP networks in digital quality. The live video can be watched on tv sets with IPTV Set-Top Boxes, on PC’s, on iOS and Android mobile devices. IRENIS HDE-264 and BLANKOM HDE-264 IPTV encoders are designed for TV signal distribution in excellent quality over LAN and INTERNET. 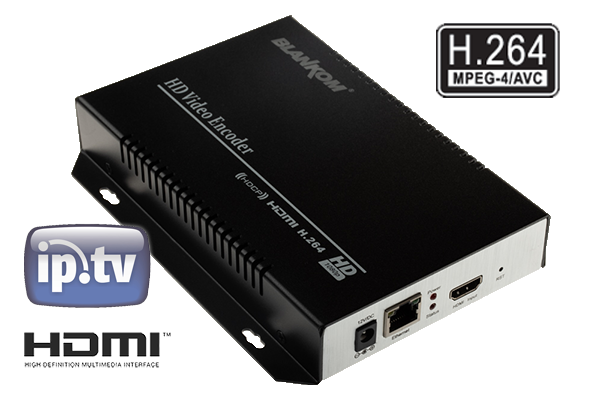 The H.264 compression technology features low latency and low bit rates for IPTV/OTT systems. The high-efficient bandwidth use saves bandwidth cost through all its resolution range. The embedded linux OS is stable and effective. From 1 input signal, 2 completely different streams can be generated. The main stream can have up to 1080p, the second stream up to 720p HD resolution.